Lobster Clambake Dinner for Five! Home > Mother's Day Dinners! > Lobster Clambakes! 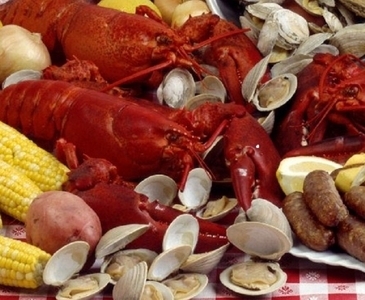 > Lobster Clambake Dinner for Five! 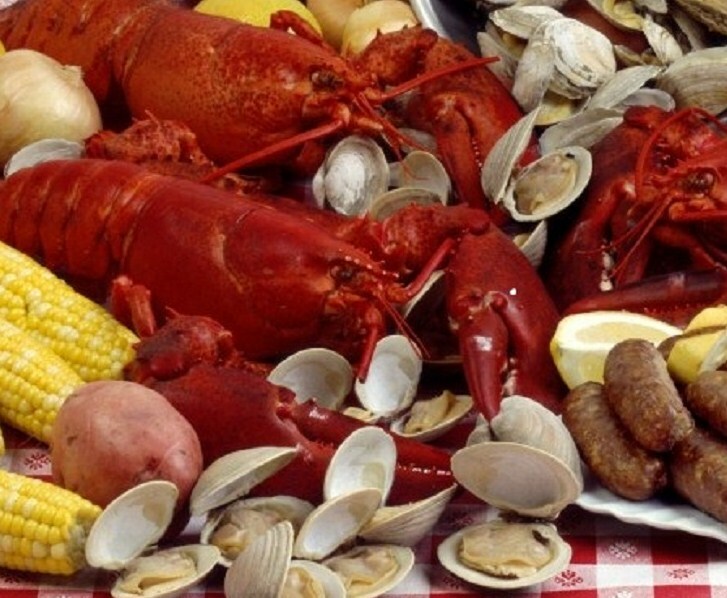 The Lobster Clambake for Five! Enjoy one of our most popular items, one that will get both of us rave reviews! This traditional Lobsterbake Dinner is sure to please any seafood lover! • Five 1-1/4 pound Live Maine Lobsters; • Five Quarts of Little Neck Clams; • Five pieces of Sausage Wrapped in Flounder Fillet; • Five Servings of Red Potatoes, Sweet Potatoes, and Onions; • and Five pieces of Corn on the Cob! It's all in its own cooking tin with instructions and also includes Five complete Lobster pick sets! Order This Incredible Lobster Clambake Dinner For Five By 10 am EST, And We'll Ship It To You Overnight In Time For Dinner Tomorrow, Right In Your Own Home! This was a big hit. Had family over and they loved it. Also ordered the clam chowder, best I have ever had. The lobsters and the claims were so sweet & tender. What a great idea, all comes ready to steam, no fuss. Great directions on how to prepare, everything was perfect. Really good stuff! Best Lobster Dinner ever! It was like sitting on a beach eating it. We enjoyed the lobsterbake with my family. it was a great treat for us and reminded us of home! Captain Tim:Thank you SO much for an EXCELLENT birthday gift for my Dad. He is agourmet cook and absolutely LOVED the clambake. He told us all abouthow the clambake was delivered, the packaging, the instructions (I amabsolutely sure that my Dad stood in front of the pot the entire timeittook for steam to come out, and dutifully made sure he reduced it to"wisps of steam.") He said it was the best meal he's had in some time.